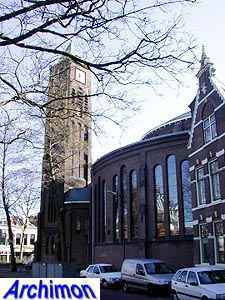 The Wilhelminakerk, named after queen Wilhelmina whose inauguration was at the very same day work on this church started, is one of only a few designs by Tjeerd Kuipers which is based on the ideas of Abraham Kuyper, the leading figure of the Gereformeerden, who firmly believed in a centralized interior with a good view at the pulpit for all. 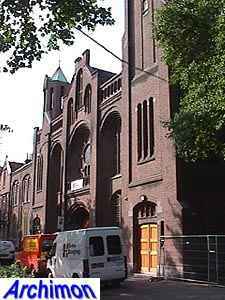 Kuipers designed a front with two towers of different sizes, with in between a wide facade that was richly decorated with shapes derived from Romanesque architecture. 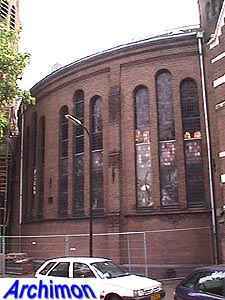 For this reason the church is often called neo-Romanesque, although the execution of it is closer to neo-Gothicism. 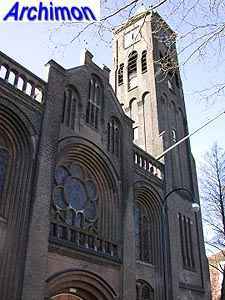 A few elements, especially the towers, hint at the Rationalistic direction Kuipers would soon adopt for most of his churches. 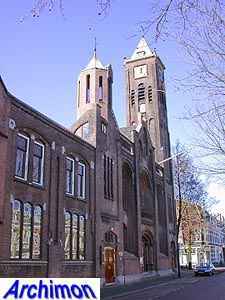 A similar combination of styles was used on Kuipers' Zuiderkerk in Groningen in 1901. Behind the facade is a circular centralized space covered by a low dome, with an amphitheatre-like interior. This interior was changed in 1967. The spire of the highest tower had been replaced by a taller one in 1952. 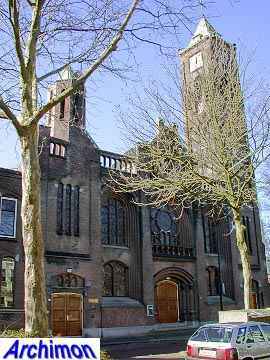 After this church Kuipers designed only one more truly centralized church, the Koepelkerk (dome-church) in Leeuwarden (Fr) of 1923.